Myofascial tissue interweaves and wraps muscles, and every division of tissue within the muscle. Normal fascial tissue should feel pliable and elastic. This tissue can be painful or problematic when it becomes stiff or starts to act like an adhesive rather than a lubricant in the muscle. Due to many factors ranging from repetitive use to disease to emotional trauma, fascia can become the primary cause of stress, pain, and decreased range of motion in the body. Myofascial pain causes immobility and pain, a common symptom of a variety of conditions. Your myofascial therapist is highly trained in how to approach the fascial planes of the body and will work within your comfort level to provide the highest possible level of pain relief. 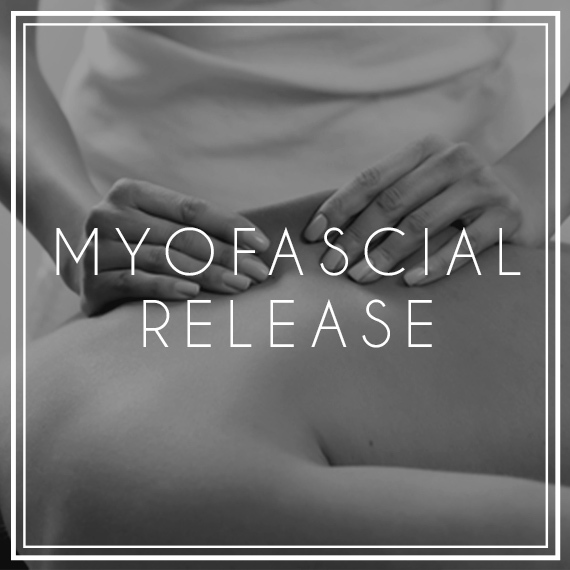 Myofascial Release can be used to help treat various conditions such as migraine headaches, sports injuries, arthritis, lower back pain, temporal mandibular joint pain, carpal tunnel syndrome, stiff necks, shoulder and hip pain. It can also improve circulation to the muscles and connective tissues, decreasing muscle soreness and improving mobility and muscle function. Another benefit of Myofascial Release is that it encourages the flow of lymph, a major component of your immune system that helps to fight infection in the body.